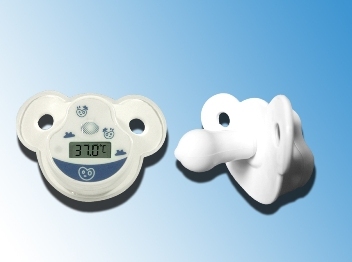 The Pacifier Thermometer provides a safe, accurate and soothing method for taking a child's temperature. The convenient Last Reading Memory feature recalls the very last reading to help monitor a child's progress. Auto shut-off helps prolong battery life.